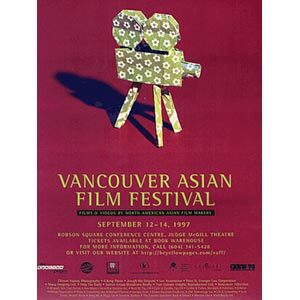 The first Vancouver Asian Film Festival needed a symbol and the art director decided upon an origami movie camera. The paper was also designed by the studio, and printed on a colour laser printer. This model consists of two pieces of paper: a 3x1 rectangle for the camera and a square for the tripod.